This is just a test, at least initially, to see how long it takes people to even notice that this thread is here. Check in and say hi if you spot it! 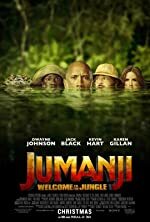 Jumanji : welcome to the jungle which drafted on the momentum Star Wars built up capturing Return audiences looking for a new movie. Second weekend improved on the first weekend BO, very unusual but could t break into first place. Finally won its 3rd weekend in 1st and has been winning the daily BO for awhile now. $535 million on a $90 million budget not count P&A and it looks strong going into the 4th weekend. Domestically Last Jedi is $225 million behind Force awakens, Likely finishing under $700 million domestically and maybe $1.4-1.6 billion worldwide. Foreign markets have had good opening but second weekends have huge drop offs. Some like UK & China have a large drop in first weekend totals followed by weaker following weekends. OK. It's a global thread now.. If you all feel this strongly about it you would be welcome to post on the main page too. I can set up the accounts, possibly merge forum users to access our front page. I wanted us to expand what we talk about on the front page for awhile. The heart of this site is the forum and Dirty Benny's is brilliant bring this feel to the front page, he even has trolls seek him out. Reminded me of the old days. Jumanji is so acting like I thought Star War would. Scaled back to normal release proportions but very strong since opening weekend. Kind of like one of those Liam Neeson movies that wouldn’t leave the top 10 it’s entire run. I think yeah it’s done then it preform better the next week. Jumanji is much stronger never losing the draw, benefiting from Star Wars getting a lot of people in the to the theaters and then looking for another movie to watch instead of going to TLJ again. Star Wars lost 1142 screens and fell hard, kind of what to expect losing screens and being such a long movie, but the running time wouldn’t scare the fans away so I think. Rian Johnson story is not as enjoyable second and third viewings and that’s Star Wars bread and butter repeat viewings. Screen International used to run a year-end chart back in the '90s of the most profitable films of the year, in terms of box office to budget ratio. It typically looked very different to the chart of the highest grossing movies, favouring mid-budget studio pics over the big blockbusters. For example, in 1991, Terminator 2 was the biggest grossing film, but Boyz N The Hood was the most profitable. I have tried to find a similar chart for 2017, so far without success. I think on a list like that Orient Express and Jumanji would do well. Maybe Star Wars just by sheer juggernaut power. To date Deadpool is the most profitable superhero movie because of the low budget and high returns. I forgot about It that have to be the leader for most profitable right? I did see those, but they weren't exactly what I was looking for. The Business Insider list is confined purely to wide releases, while the IMDb one only measures domestic gross to budget. This I think is misleading when you have a movie like The Fate of the Furious making 80% of its money overseas. 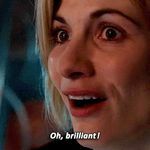 I did see a report naming the low-budget indie horror film Get Out as the most profitable of the years so far, with a 630% return on investment (ROI), but it was from August. It wouldn't surprise me if it did top the chart for the whole year, though. Horror films tend to do well in such charts, being relatively cheap to make and usually doing decent business at the box office. The list I found are misleading, % return on investment favors independent films with the fluke of a wide distribution. Also I think the first list was crediting profit after clearing reported production budget and only used domestic BO. First the Post underperformed I thought it did well, apparently the studio had mighty expectations. BJ will like this part, some are blaming Meryl Streep’s political activism of the last two years for turning off some segments of the audience. IMO it’s the subject matter, pentagon papers? Why? Although I think this kind of thinking explain Spielberg and Tom Hanks wanting to joke their way out of presidential politics. Second is TLJ losing screens, Disney had strong armed distributors locking the number of screens in for four week, not only that theaters had to give Disney their largest capacity screens, so as soon as those obligations were met theaters were eager to free up screens. Ordinarily I think the theater owners would be glad to lock down Star Wars it didn’t seem to be the magic draw it was two years ago. Hearsay evidence is a buddy working at a theater said the early showings weren’t big like they were for TFA, two years ago they were bring on more staff to open for 9:30 to 10:00am first showings. After the first weekend they really could have gone back to normal show times. But this is in a much smaller market than a major city. And the holiday rush was all their was going to be, but I suppose he also meant the weekdays with school out didn’t need the extra staff either, I always think of the weekend because this is when I go. The Last Jedi has bombed in China. Funny, I thought the lack of familiarity with the original trilogy, which was cited as the main reason for its failure, would be less of a problem with this film than with The Force Awakens. This is shocking The film has fallen into the box office abyss at this juncture. It was totally front loaded. I thought $1 billion domestically was attainable. It will be 40% below that Storyline--------storyline-------storyline------did not win over the fans, despite the $1.2 billion gross. Atticus wrote: The Last Jedi has bombed in China. holy crap failing like this in China was unthinkable. Being pulled from theaters! Even bombs of movies did better. Maybe the Chinese are f’ing with Disney, if not then the story struck out with audiences. It was a very western centric story, the defying expectations played in to western expectations may not have translated in Asia. Japan which gets star wars TLJ opened bigger than TFA, TLJ in Japan is something like $20 million behind TFA. Kristatos wrote: Funny, I thought the lack of familiarity with the original trilogy, which was cited as the main reason for its failure, would be less of a problem with this film than with The Force Awakens. You’d think following up a movie the Chinese liked wouldn’t be so tough. Chinese audiences don’t buy pseudo girl power narrative and why would they the national policy is to kill baby girls. Feminist excuse would be more true here than for the rest of the world they try to say Kathleen Kennedy and Rian Johnson girl power agenda upset the boys, who previously had no problem with the Star Wars diversity. IMO for the average Chinese live under the real world First Order and watching a movie about crushing hope with no real balance in tone was too close to real life to be fun, it’s more fun for the entitled and empowered western audiences to watch a story where the state cruses hope and freedom.